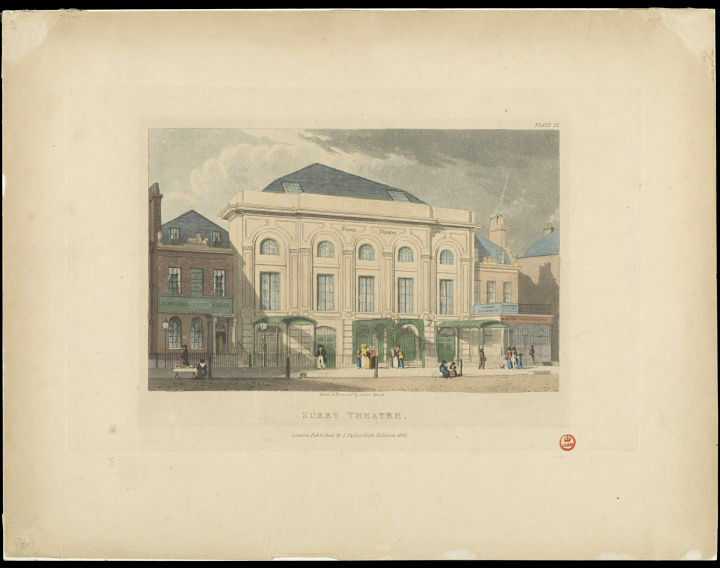 Print depicting Surry Theatre drawn and engraved by Daniel Havell and published in London by J. Taylor. 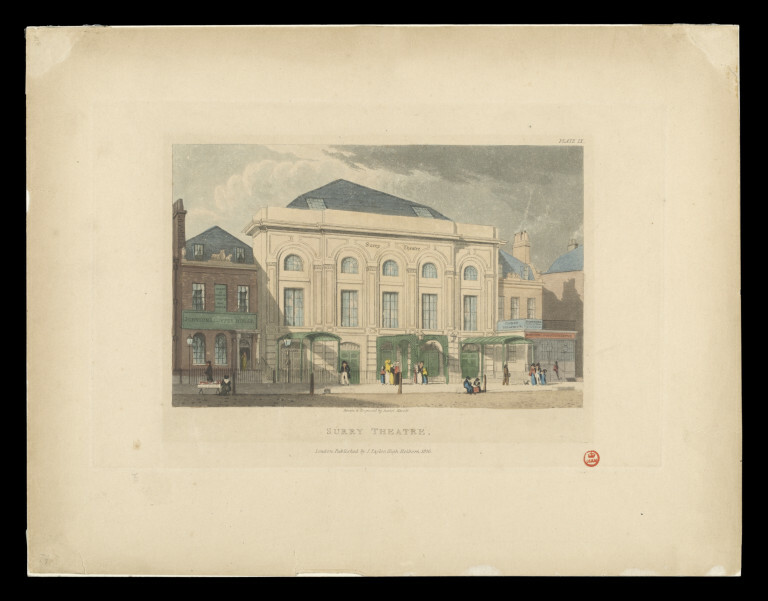 Hand coloured aquatint depicting the façade of Surry Theatre. 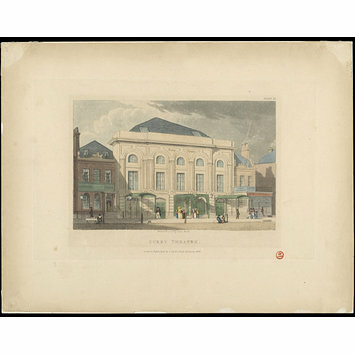 Print depicting Surry Theatre drawn and engraved by Daniel Havell and published in London by J. Taylor in 1826.